This is the walk-through for demo #2 in my Microsoft Master webcast on App-V 5.0 scripting. For the full webcast information, visit https://t3chn1ck.wordpress.com/2014/02/03/playback-of-microsoft-master-app-v-5-0/. This demo is on scripting the install of an application shim (for app compatibility) when an App-V package is published to a system. For this example, I used an all time favorite software of mine … SMS Installer. 1) SMS Installer requires elevated rights in order to execute. 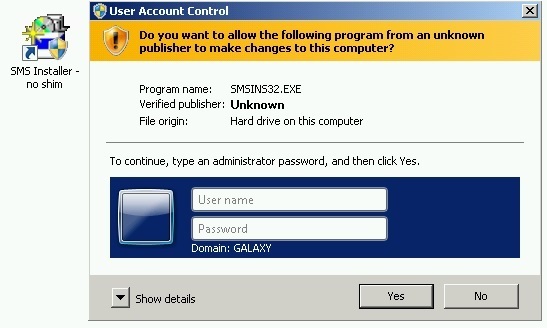 So if the user is a non-admin such as for my demos, they cannot use the software. Below is the screen shot of how this gets blocked. Even if your end users have elevated rights themselves, you may be able to use a shim to correct any UAC elevation prompts. Additionally, you can see the “shield” on the shortcut. 6) Voila! You can now see that the “shield” is no longer on the shortcut and that the application runs successfully! 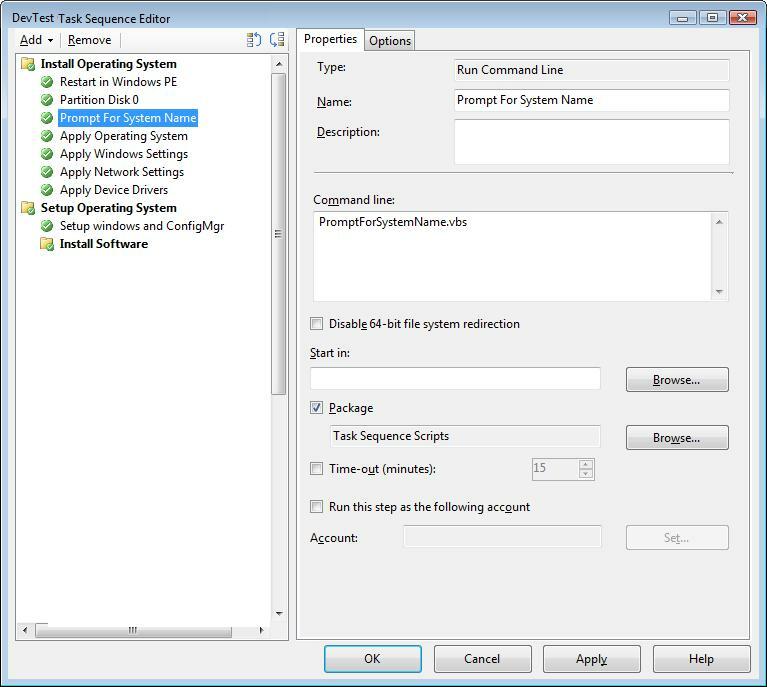 This entry was posted in App-V 5.0, ConfigMgr 12, How-To.